Thunder Treats is happy to announce a new section of the site! Starting today, we will be bringing you music news, updates and downloads in addition to the normal debauchery brought about on a daily basis. This section will serve as a destination for up and coming DJ’s, producers and already established artists as well. If you enjoy music half as much as I do then I’m sure you will find yourself landing on the music section of Thunder Treats more and more. To get us kickstarted with our music section, DJ Trademark agreed to do a little Q&A with us. If you are a fan of music and think you might want to start doing your own, definitely check out the interview below. Make sure to follow DJ Trademark on twitter or “like” his page on Facebook for updates about new tracks and albums. 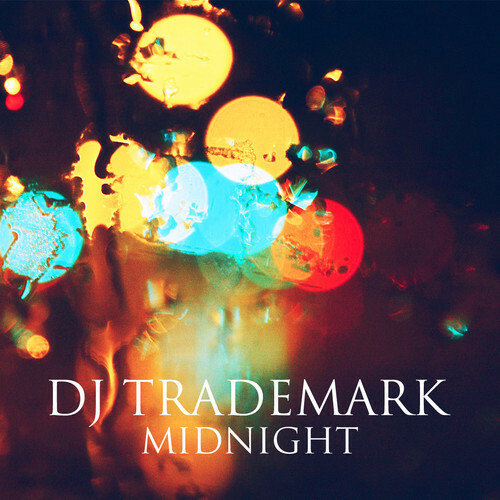 – Who is DJ Trademark and how did you get your name? I’m Tyler McMurray out of Geneva, Illinois. I used to do hooks on hip-hop tracks for my friend Matt and he came up with it from my initials, ‘TM’. – When did you begin producing music and how did you get your start? Are you self taught? I started DJing in 2008 as a sophomore in college playing small sets at parties and bars. Really I was just messing around, getting a feel for blending records together. About a year in I put out my first album “House Party”, throwing retro tracks against dance and pop songs. Like a lot of people it was trial and error that I learned from most. – Who are some of your influences? Do you have a favorite artist? Once Girl Talk put out “Night Ripper”, I was sold on the soundscape he created. To be honest I was chopping up samples in a similar way before I knew who he was, but I definitely took a lot of stylistic notes from his albums. Right now my tracks are definitely dance and electro influenced, so I take a lot from producers like Porter Robinson, Axwell, Chuckie, Sebastian Ingrosso, Afrojack, Kaskade, Knife Party, Avicii, Diplo and a whole mess of other people. – When putting together a new track, where do you get the ideas for song choice? A lot of people think the blueprint would be finding songs that match up in key and then pairing them together, but really I’m trying to create a new sound from samples out there already. If you look at the nuts and bolts too much you’ll miss out on some cool opportunities as far as possible samples, so I try and stay focused on the vibe you get from an individual track and build from there. – Have you ever had a mix idea or wanted to use a specific song and then forgot it because you didn’t write it down or send yourself a message? Of course. The cool part about it though is that it’s like finding cash in a jacket that you forgot about. Sometimes those lost ideas pop up at perfect times. – Do you have a favorite track that you have done? I just put out a track “Keep Me Waiting” on the “Clean Cuts EP” that’s a perfect summer jam, so hopefully I’ll still be feeling it when it warms up. I’m a huge fan of those warm-weather sounds that you get out of house tracks. – Have you done many live shows? If so, where? Really that’s what I work for, the ability to travel and play for different people. Over the past two years I’ve been all over the country doing colleges, clubs and concerts. I’ve had the opportunity to work with The Cranberry Show out of Milwaukee and do some hip-hop sets with them, but also do my own thing and rock these high-energy EDM shows. Versatility is super important to me as far as what I play at my shows because I want to make sure I’m playing into what the crowd wants. I try not to ever plan out a detailed set because if I do I might lose the energy that I could find by playing something random. – What is the best part about doing a live set? The screams at a drop, a sea of people with their hands up and everyone with smiles on their face. Those moments are addictive. – What would consider your ultimate goal with your music? I guess this is a cliché answer, but to have fun. I hate reading about artists who complain about aspects of their career. Playing music and getting paid for it is such a privilege to me that I’d duck out before things got too serious and stressful. – What kind of hardware do you use for your producing? Software? I use Logic Pro 9 for all my production and a few plug-ins for some original stuff I’m working on like the ReFX Nexus 2 and some Native Instruments tools. My live set up is a Traktor Kontrol S4 with Traktor Pro 2. – Any other musical background? I’ve always been doing something musically it seems like. I was in a band in High School, did some hip-hop stuff after that and now I’m DJing. – What do you have in the works for 2012? Solid music and more shows. With whatever I’m creating I’m trying to top the last thing, so hopefully that means a better product for everyone that’s a fan. – What is your advice for the aspiring DJ’s who are mixing in their bedrooms? Patience and persistence. Everyone and their mom is a DJ these days, but the people who will get the most out of it are confident in the brand they’re putting out there. Play live as much as possible. I found out a lot about balance in music from those early bar shows, tapping into the vibe from the room. Be open to criticism. Whether you’re a producer, remixer or masher, play your stuff for a variety of people. Last but not least, people won’t get turned on to you overnight. Stay with it, don’t be pushy but at the same be confident and promote your sound.